The Gentle Art of Persuasion…. 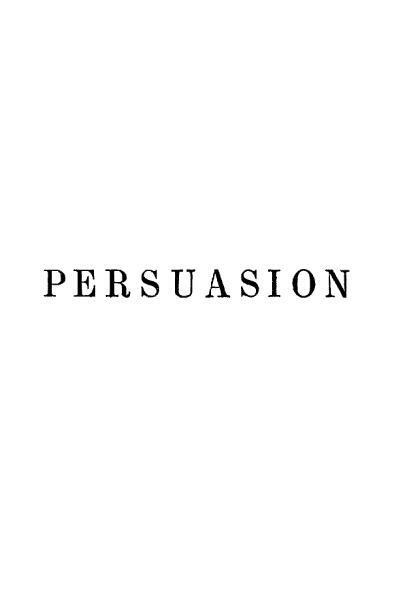 Persuasion is often discussed as though changing people’s minds is about using the right arguments, the right tone of voice or the right negotiation tactic. I want to look at persuasion a different way, free from creating buyers remorse. Effective influence and persuasion is about understanding people’s motivations not manipulation. Learning to shift a customer’s perspective the best kind of persuasion. If you can change a customer’s perspective on a trend, for example, you can drive their sales through the roof. For the most part humans are very social, so they want to be liked. Rejection is no fun and we’ll do almost anything to avoid it. We try to affiliate with other people by behaving in ways we assume will be attractive, like agreeing with them or complimenting them. Not only do we want approval from specific people, we also want it from society at large We want the things we do, think and believe to be broadly in line with what others do, think and believe. Most people are joiners and followers so influencers like to give us something to join and someone to follow. The current explosion in social media leverages this fact! To achieve our goals in what is a complicated world, we have to be continually trying to work out the best course of action. Finding what works! People are always striving for the ‘right’ answer. Influencers understand our need to be right. The techniques of social proof and scarcity both nag at our desire to be accurate because we assume other people are likely to be right and we don’t want to miss out on a bargain or a trend. Understanding social proof when it helps keep a client current and relevant is huge marketing tool. Use real statistics to let the customer know their strategy is working and valuable. Compare their results to their competitor. It is essential to manage a customer’s expectations to validate their goal of accuracy. People want to protect their view of themselves. We work hard to keep our world-views intact: we want to maintain our self-esteem, to continue believing in the things we believe in and to honour whatever commitments we have espoused in the past. Persuaders and influencers can leverage this goal by invoking our sense of self-consistency. Designing products and services which help your customer stay consistent with their self image makes selling easy. People will go to surprising lengths to maintain their positive view of themselves. Make your product or service the smart, highly valued choice. Your job of selling will turn effortless. Understanding why people do what they do is essential in drafting and executing your brand strategy. Follow us on Facebook or find us on Twitter. Call today 713-628-0701 for more ways to build and execute your brand strategy. Creating an emotional connection between customers and a brand is probably the highest achievement in marketing. Most often, brands strive for this mark by being the best at something and then reinforcing that position at every opportunity. The bond or connection is forged when you can answer the compelling why? Why should a customer buy your brand? What compels customers to choose you? If you have answered the why, you have started the emotional branding process. 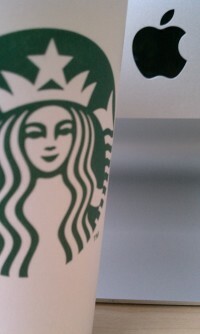 Think about Apple and Starbucks as examples of emotional brands. Have they created a connection with their customers? The best way is to create a brand connection is for them to experience a difference. Why are you different? Is your product one of a kind? If not, then is your service exceptional? When building emotion into your brand customers go through stages…. Emotional Stage 1 – How you get someone interested? Why should they choose you? Emotional Stage 2 – How do you get someone to consider a purchase? Do you offer value or experience? Emotional Stage 3 – How do you continually reinforce that their purchase decision was absolutely the right decision? Did you create value or experience? Emotional Stage 4 – How do you create a loyal customer such that they want to continue to buy your product or service? Can you cross or up sell? Emotional Stage 5 – How do you create a brand connection so that your brand becomes part of your customer’s life? Do you have a way to communicate to your customers: email, Facebook, twitter or text? Remember, out of sight out of mind. Emotional Stage 6 – How do you get your audience to be your ambassador? The Why of Social Media…..
Business owners are always asking, “why should I use social media for my business?” Recently, I found a blog written by Brick Marketing (http://www.brickmarketing.com/blog/active-social-media.htm) that gives a great explanation. The search engines pay attention to social media data and use it to determine search engine ranking. The search engines view content links that are shared frequently in social media as trusted. Since the search engines want to provide valuable search results, they will consider this as a ranking factor which means that the more frequently content gets shared in social media, the better chances it has of ranking well. Obviously, a search engine presence (or lack thereof) plays a huge role in the success of a website. While it’s great to get social media followers, the ultimate goal of a social media marketing campaign should be to drive traffic to your business website. That’s why it’s so important to have the right social media followers, ones that are actually interested in the products or services that you offer. Thousands upon thousands of followers don’t mean much if they never take action and visit your website or blog to learn more. 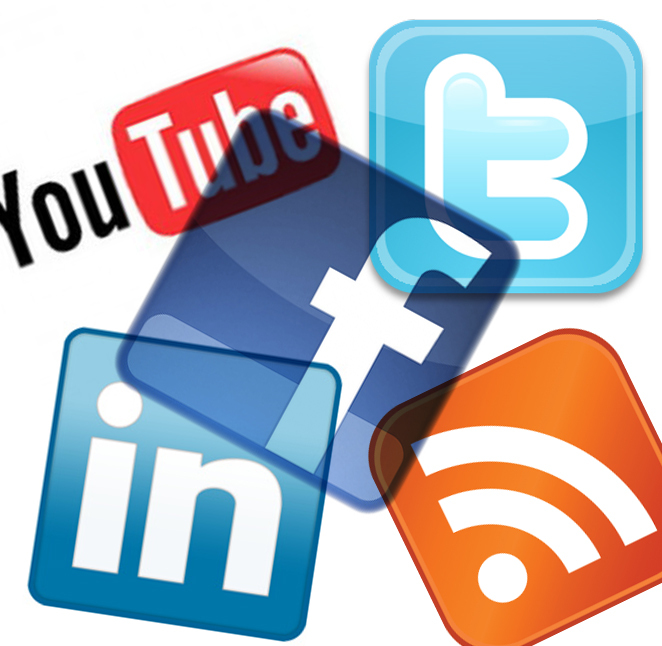 Social media provides information in real time and has become a primary source of news. While it shouldn’t necessarily replace traditional PR or submitting online press releases, it’s another avenue to share information about your business and interact with members of the press. Every industry is competitive online today. The businesses that will find the most success are the ones that are transparent and willing to share information with target audience members in order to become a trusted source. Social media is one avenue to share such information and connect with potential clients or customers in order to give them a positive view of your business and brand. Everything in the social media world revolves around connection. Connection is your ability to interact with satisfied customers and seek referrals. If you believe 70-80% of your new business comes from repeat customers and referrals, then using social media to network is a very nature extension of your current business development model. Find us on Facebook or follow us on Twitter to learn more about using social media to build your brand. I believe the quality of our lives is largely determined by the quality of the questions we are continually asking ourselves. In our ever changing and demanding world how do we first cope with and then embrace change? Let me suggest an answer: attitude. Professor Erwin H. Schell, one of the most respected minds on leadership says, ”obviously, there is something more than facilities and competence that make for accomplishment. I have come to believe that the linkage factor, this catalyst, if you will, can be defined in a single word attitude. When our attitude is right, our abilities reach a maximum of effectiveness and good results inevitably follow.“ I believe attitudes do make a profound difference. Think about it for a minute. If you are greeted when you enter a store with an authentic and warm smile how do you feel? Compare that to being ignored or glared at when you walk in. How does your greeting effect your emotions? How about your desire to shop? Will you spend more or less time in the store? The salesperson’s greeting reflects their attitude toward their work and your presence. Their attitude affects yours. As human beings we are keenly attuned to reading attitudes through expressions and voice tones and inflections. We communicate our attitudes, our feelings toward people and things through body and facial expressions. It is said that attitudes are the mirrors of the mind. They reflect thinking. Ask yourself this question; what attitude do people see in you? If you cannot define what your attitude, then how can you change? Awareness will change your perspective. Once you are aware and you are ready to see it, you life and perspective is forever changed. Have you heard the saying, “Attitude Is Everything”? I believe attitude might really be everything, as it is the lens we look at life through. Success and failure are judged by your attitude. Think about this simple saying, “everyday I am on this earth is a good day!” Imagine if you really believed “everyday I am on this earth is a good day”? By merely waking up you have declared the day, a good day! On the flip side, if you woke up each day with a work to-do list a mile long and lamenting each challenge, how do you see your day? When does you day become a good day? When it is over? Now try a subtle attitude shift. Thank you for having work and clients that create challenges and a mile long list of to-dos. I am not unemployed. Thank you I have a job! Your attitude shapes your perspective, the way your interpret event, the choices your make, the actions you take and the outcomes you get. You want your life to change? Change your attitude first. Do you want real happiness? Not the kind of happiness that changes moment to moment. Then change your attitude. Here is my secret to true happiness, “even if you have a great attitude already, it could always be better.” Ready to change your attitude? 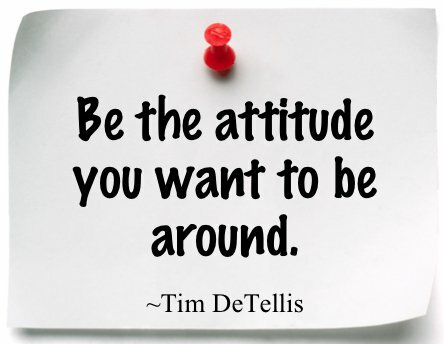 Make a Choice: Decide what attitude you want to have and choose to adopt that attitude. The real control you have in this life is to “choose your attitude”. Obstacles in life create opportunities, as long as, you shift your attitude to embrace the challenge. Break Old Patterns: If you catch yourself with a bad attitude, do something radical to change your physiology. Pump yourself up. Clap your hands and shake off the old attitude. Look in the mirror to see what you are reflecting. Spend Time with Positive People: Attitudes are contagious. What attitude do you want to catch? If you spend time with people who are on fire for life, then you are likely to be on fire for life. Ask Better Questions: The ongoing chatter or noise in our heads is a series of questions. The majority of the time it does not even register that this process is going on. Most of the time this is not a very conscious process. Learn to ask a better question. Try this; do you believe life happens to you, or for you? If life happens to you, then your circumstances of the moment determine your happiness. If life happens for you, then even in the most tragic situations there is something to learn or a way to grow. If you are continually learning and growing you are generally pretty happy. Quit Using Excuses: We tend to stubbornly hold on to our attitudes even when they do not get us the life we want. They are habits and learn to justify them. We have excuses for our excuses. Do you want to hold onto your excuses, or do your want results? Reminders: Write the attitude you want on a post-it note and put it somewhere so that you’ll see it regularly like on the bathroom mirror or car visor. Set an alarm that goes off at certain times of the day to remind you to grab hold of your new attitude. Believe: You have to believe! You have to believe that a new attitude is possible and the choice is solely yours! Time to make a choice! You decide. If attitude is everything, what is your attitude? Remember, the way to true happiness is this, “even if you have a great attitude already, it could always be better.” Ready to change your attitude and have a happier new year? It your choice! 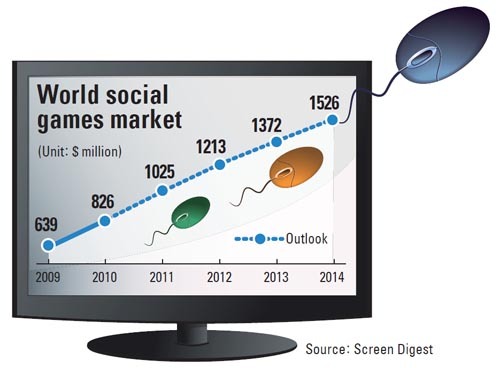 The number of people who play online social games is on the rise. Most of us probably already assumed as much. A new survey, commissioned by PopCap Games, confirms the trend. More than four out of 10 U.S. Internet users (41%) play social games at least 15 minutes weekly, compared to 24% of Net users in Jan. 2010, according the research conducted by Information Solutions Group. That means about 98 million in the U.S. play online social games. The results are based on 1,201 online surveys done by Toluna‘s Internet ePanel in the United States and the U.K. Sept. 15-22. The number of devoted social gamers rose, too, with 16% saying that they play at least six hours weekly, compared to only 8% in 2010. Those who played social games in the last three months rose to 42%, compared to 28% in 2010. Younger gamers coming to social games has brought the average age of a social game player in the U.S. down to 41.2 from 45 in 2010. Remaining the same: women social gamers still outnumber men by 55% to 45%. — In addition to playing social games on a desktop or laptop computer, more than one-third (38%) also play on a mobile phone, 20% use a game console and 10% play on a tablet. — More than four in 10 (42%) said they have played more games over the past three months, compared to 35% last year. — More than half (56%) of avid players — those playing more than six hours weekly) have played more in the past three months. — Most popular sites to play social games were led by Facebook, where 91% said they played, followed by Google+ (17%), MySpace (15%) and Bebo (7%). — Those who used real-world cash to buy virtual currency to use in social games rose 26%, compared to 14% last year. — Most social gamers (83%) — and 86% of avid gamers — said they had played video games on other platforms such as a PC or game console prior to playing games on social networking sites. — One-third (33%) of those who played on other gaming platforms said social games had caused them to play less on other platforms. More than half (55%) said it has remained about the same. PR in a Social World…. The Public Relations industry has a PR problem. 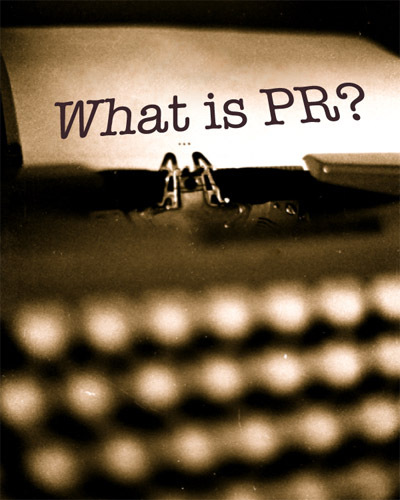 The explosion of social media has transformed the PR landscape. The relationship between the members of the public and those communicating with them has fundamentally shifted. PR people have controlled the process for decades and the conversation only went one way. The traditional top down monologue now goes two ways in a conversation. This new dialog has spawned its own set of definitions and terms. Instead of the term public relations, we now have earned media, word of mouth marketing and buzz marketing. This PR attempt at re-branding also follows several embarrassments for the industry as new media makes it easier for consumers to learn about the blunders committed in trying to influence what they buy and believe. 4) Netflix lost hundreds of thousands of members with a plan, later rescinded, to divide into separate businesses. “In a world where the ordinary consumer is walking around with global publishing power in his or her pocket,” said Mr. Tisch, who is also Chief Executive at Argyle Communications, “the role of public relations and corporate communications has shifted from creating content to attempting to influence the content that’s created by others.” What are public relations in a social world? At Ata2ud Media, we believe you should makethe best first impression possible then be quick to admit your failings. Every negative situation is an opportunity to improve your customer relations and become a better brand. Call us today 713-628-0701 or find us on Facebook @ ata2udmedia. At Ata2ud Media, our philosophy of web presence begins with a simple mantra, “You have to be seen, to be heard!” In the web world, being “seen” means being found in a web search using a popular search engine like Google, Yahoo or Bing. The order in which you appear in that search is key. The higher the listing, the more likely your site will be visited by a user. Where your site falls in the listing is based upon search engine parameters, called an algorithm. These algorithms favor helping the user get answers to their search questions. Search Engine Optimizing (SEO) fine tunes your website making it more “findable” in relevant searches. However, all SEO is not the same. Search optimization is broken into two distinct strategies: organic and artificial. Merriam Webster defines organic, in part, as “having the characteristics of an organism: developing in the manner of a living plant or animal.” To an SEO company, this definition describes the approach taken to achieve long-lasting results in the “natural” use of search engines. The organic strategy involves quality content building over time. Artificial SEO involves using techniques and tricks to fool the search engine and instead of depending on quality content building. A few comparisons of the different approaches will clarify what we mean when we use the term “organic SEO” and “artificial SEO”. In the SEO industry “content is king.” We would take this adage one step further. In our experience, quality content is king. Study after study has shown that when people use search engines, they are primarily seeking one thing: quality information. They are not seeking to be impressed by fancy flash sites. They are not looking for pretty. 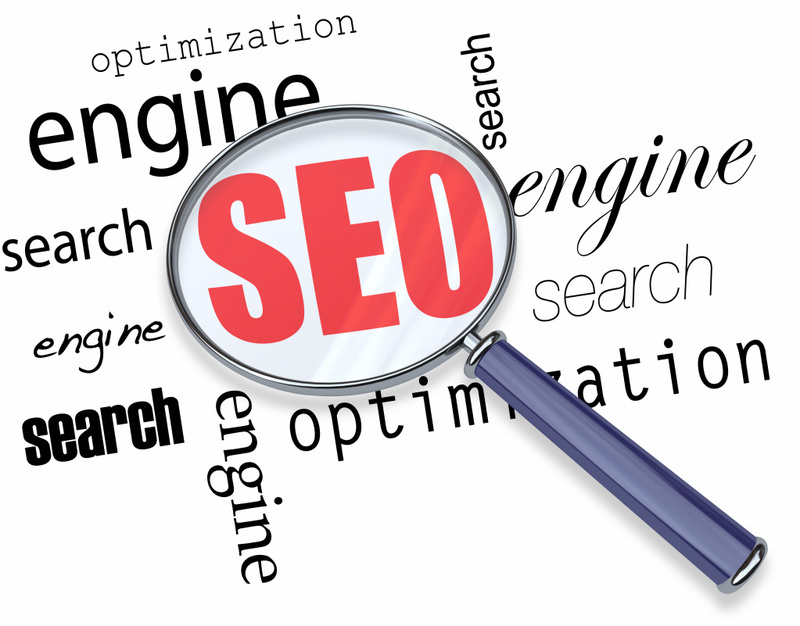 In SEO the quality of your site is directly proportional to the quality of the questions your site can answer. A search engine optimization company that is truly practicing “organic SEO” recognizes this fact. “Artificial SEO” firms, which embrace a technical loophole philosophy, will allow a company to leave its website exactly as it is, because the work that such firms do is largely technical and is designed to trick the engine into showing content that it would not otherwise show. Certainly, there are acceptable (from the engine’s standpoint) technical aspects that any good search engine optimization company will use, such as relevant page titles and Meta tags. But there are many more unacceptable technical methodologies than acceptable ones, including cloaking, redirects, multiple sites, key phrase stuffing, hidden links, and numerous others. A company practicing “organic SEO” will avoid these. Our philosophy is to integrate a blog for deep content coupled with a twitter (micro blog) and a Facebook feed on page one of your website to get you noticed. This strategy funnels all your real-time quality content to drive a better search profile. As any SEO company knows, inbound links are critical to the success of an “organic SEO” campaign. There are different ways to go about it. Firms that practice true “organic SEO” will look at the website itself and say “How can we make this site something that other sites would want to link to?” What new content needs to be added to create a better search profile? A search engine optimization company using “artificial SEO” will ask, “How can I get links pointing to this site without adding anything of value to it?” The latter approach usually leads to reciprocal linking schemes, link farms, and the purchase of text links. This strategy avoids making changes to the website that entice others to link to the site. A better strategy is to ask for a link to be reciprocated. A solid SEO organic strategy will make certain that a site is listed in all the popular directories, such as the Yahoo Directory, the Open Directory Project, and Business.com. This strategy will also continually seek any industry-specific directories where your site could be listed. Using “organic SEO” means building content to your site so that it holds actual value to your prospects. Using social media feeds and a blog gives your readers information and answers to their questions. Isn’t that what they are searching for? In my opinion, this is much more beneficial in the long run than the artificial methodology of trying to garner incoming links that the site does not truly deserve. Quality content, which is a resource for answering searcher questions, will get the high quality inbound links. Search engines change their algorithms frequently for two reasons. One is, of course, to improve their results based upon their most recent user interaction. The other is to get past the tactics that get sites ranked artificially high. The common denominator in websites that maintain their high rankings despite frequent algorithm changes is high quality content! They offer something of value (answer questions) to their visitors and are considered a resource for their industry. “Organic SEO” practitioners generally do not concern themselves with algorithm shifts. They continue to build content making your site an expert resource in your field. While an “artificial” SEO companies desperately try to claw their way back to rankings lost from dependence on technical loopholes. “Organic SEO” firms continue adding valuable and relevant content to your site, strengthening its value and bolstering its rankings. The organic approach requires you have a shift in thinking: from marketer to publisher: from salesperson to guide. What do your prospects need to know about your product or service that can differentiate you from others? Let your website be their source to learn about your industry. Prospects are very likely to call you when they are ready to buy, as you have become their expert resource! With “organic SEO,” you will reach people in all stages of the buying cycle, educate them, and steer them toward your solution by using your website. On a regular basis, search engines engage in very expensive studies on what their users want to see when they enter search queries. “Organic SEO” firms are always positioning themselves in the search algorithm with quality content. An “organic SEO” company will try to learn and “listen” to the results of recent studies. For example, shifting technology like the explosive growth of social media caused dramatic changes in the search algorithms. “Organic SEO” companies now incorporate the micro blogging aspects of social media into their website build model. “Artificial SEO” does not concern itself with user interaction studies, getting traffic. It does not listen to the user it solely focuses on defeating the search engine algorithm. The “artificial” approach makes results erratic, but it also raises a larger point. What is the goal of the campaign or your website? If an “Artificial SEO” company finds a loophole in an algorithm that catapults your site to the top, but does not consider the user experience at your website, it defeats the original purpose. You want to convert traffic to customers! You may get plenty of visitors (traffic). These will be short-term visitors who do not find what they want on your site and back out without a second thought. No conversion. Ata2ud Media believes conversion begins with getting relevant, quality and timely content. An exceptional user experience is a function of meeting the user’s needs! An SEO company that takes a true “Organic SEO” approach will actually take the dictionary definition quite literally in building your website. A great website is like an organism, always growing and adapting to its environment. It builds upon itself. It learns how it should behave and act in its own best interest. At Ata2ud Media, we specialize in content that is both high quality and social. Do you want people to hear your brand message? Then you need to be seen! Let us help you climb the search listings in Google, Yahoo and Bing.